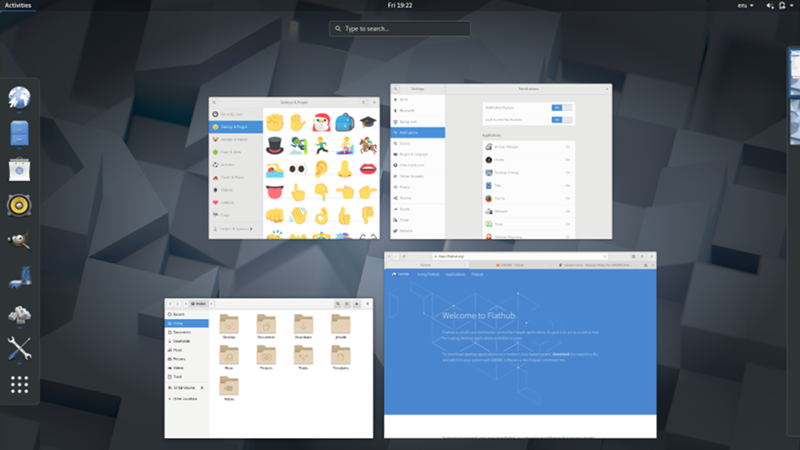 GNOME 3.26 is the latest version of GNOME 3, and is the result of 6 months’ hard work by the GNOME community. It contains major new features, as well as many smaller improvements and bug fixes. In total, the release incorporates 24105 changes, made by approximately 778 contributors. 3.26 has been named “Manchester” in recognition of this year’s GUADEC organizing team. GUADEC is GNOME’s primary annual conference and is only possible due to the amazing work of local volunteers. This year’s event was held in Manchester, UK, and was a big success. Thank you Team Manchester! These search features can be accessed in the usual way: click Activities and type into the search box, or simply press Super and start typing! 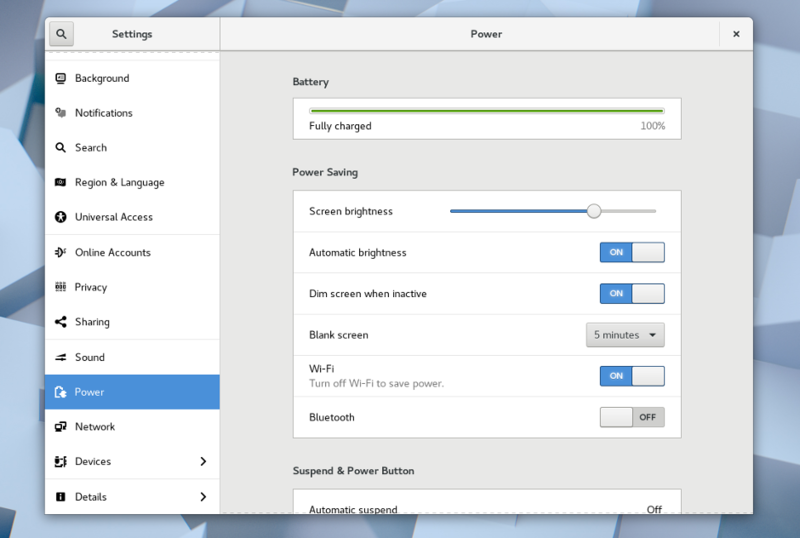 GNOME 3.26 introduces a new layout to the Settings application. The previous grid of icons is gone and, in its place, a sidebar allows switching between different areas. The new sidebar makes it much easier and quicker to navigate the settings application and places the most commonly used settings within easy reach. It also means that the Settings window is now bigger and can be resized, which is more comfortable in a lot of situations. GNOME’s network settings have been improved as part of this work: Wi-Fi now has its own dedicated settings area and network settings dialogs have been reworked, so that they are neater, clearer and easier to use. 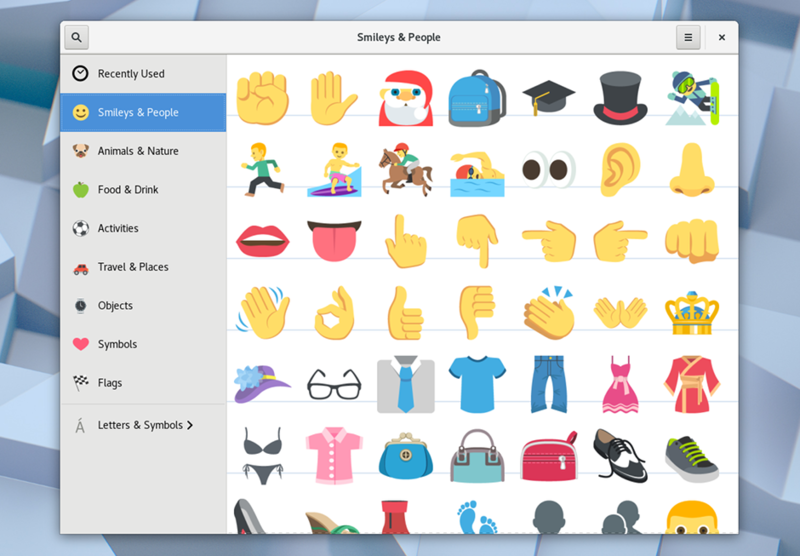 Color emoji have arrived in GNOME! These will now be displayed in their full-color glory wherever they appear. Various ways to insert emoji have also been introduced for GNOME 3.26. This includes the Characters application, which now allows you to browse and search for emoji and to copy them into messages and documents. Polari, the GNOME IRC client, has a dedicated emoji picker and a similar tool is being made available for other applications to use. In Web, the GNOME browser, it’s now possible to synchronize your bookmarks, passwords and browser history, using the Firefox Sync service. This makes it possible to keep an online backup of this information and also to share it with Firefox desktop and mobile. Firefox Sync can be set up from Web’s application preferences. 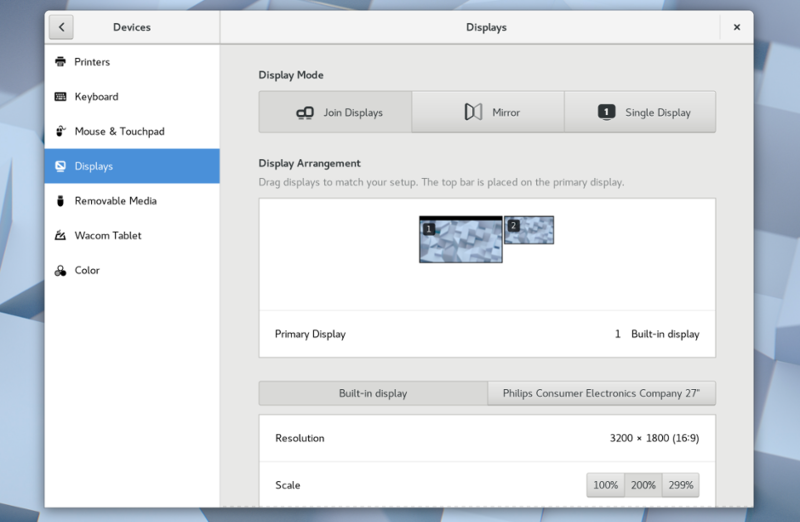 GNOME’s display settings have been redesigned for 3.26. The new design brings relevant settings to the forefront, so it’s easy to get an overview of how your displays are set up. When there are multiple displays connected, a simple row of buttons allows you to choose how you want to use them. The new display settings include a preview version of a new scaling setting. This allows the size of what’s shown on the screen to be adjusted to match the density (often expressed as PPI or DPI) of your display, resulting in the right amount of content being displayed, as well as making it easy to read. The display scaling feature is expected to mature in future releases. For the best experience, Wayland is recommended over X11, as per-display configuration is not supported on X11. Boxes, the GNOME application for virtual and remote machines, now allows folders to be shared between a virtual machine and your computer. To use this feature, just select which folders you want to share from the box settings, and they will appear as network locations in the guest. In Software, updates are now grouped by type and provide more accurate progress information when being installed. Simple Scan, the GNOME application for scanning images and documents, has had some interface improvements for 3.26. A new start screen provides some useful guidance, editing tools are easier to identify and preferences can be accessed from the header bar. Polari — the IRC application — has a new initial setup assistant, which makes it easy to get connected and start chatting. GNOME 3.26 also has lots to offer developers, and is translated into many languages. GNOME’s software is Free Software: all our code is available for download and can be freely modified and redistributed. To install it, we recommend that you wait for the official packages provided by your vendor or distribution. Popular distributions will make GNOME 3.26 available very soon, and some already have development versions that include the new GNOME release.